NOW AVAILABLE FOR SALE. 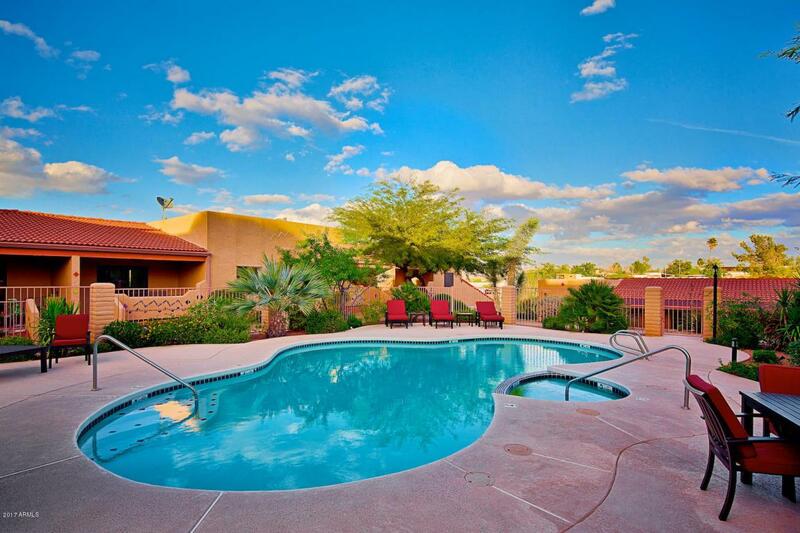 WONDERFUL TURNKEY FURNISHED UNIT IN THE QUIET AND SERENE DESERT GOLD CONDO COMPLEX. GROUND FLOOR UNIT WITH A WONDERFUL PATIO OVERLOOKING THE POOL AREA. 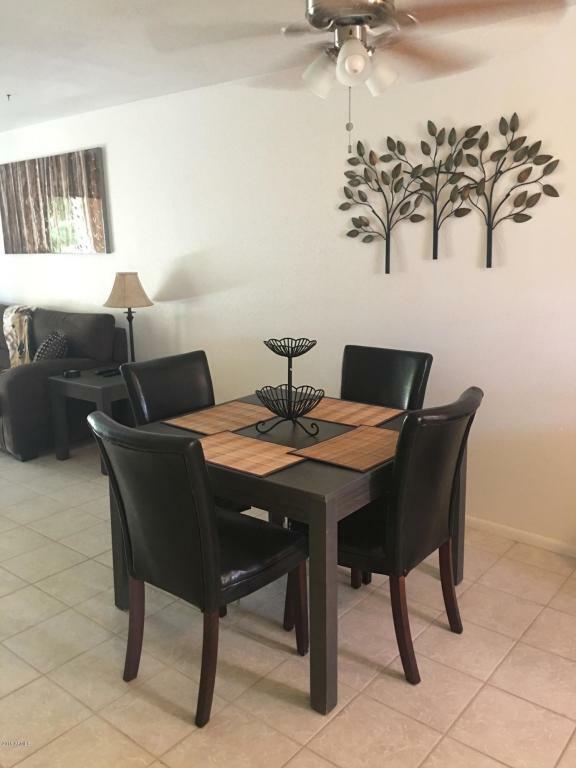 THIS COMPLEX HAS LUSH LANDSCAPING, VERY WELL MAINTAINED WITH A LARGE COURTYARD AND 3 GAS BARBECUES TO SPEND THE WINTER WITH ITS SUNNY DAYS AND MILD TEMPERATURES. 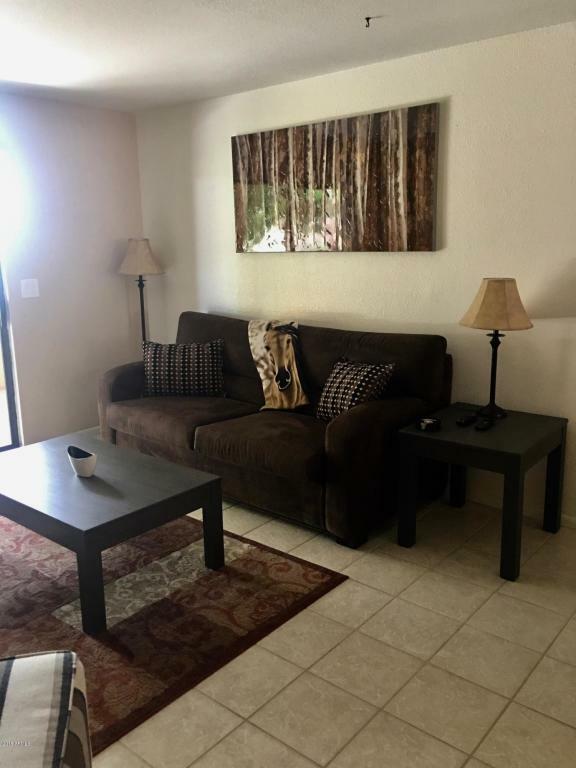 TURNKEY FURNISHED WITH CABLE TV ON 2 FLAT SCREENS, INTERNET, 2 COMFORTABLE BEDROOMS AND THIS UNIT HAS A STACKED W/D INSIDE THE UNIT JUST COMPLETED AT $4K COST. 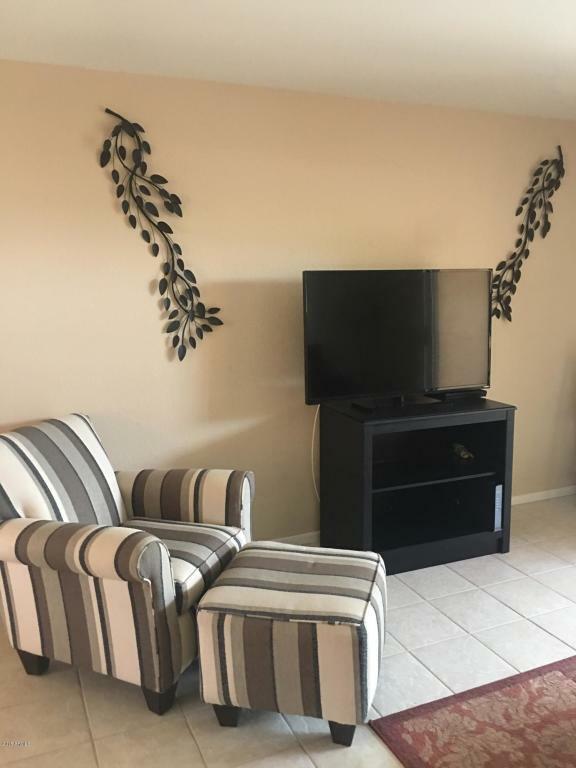 ALL YOU NEED IS YOUR TOOTHBRUSH AND YOUR CLOTHES TO ENJOY THIS PLACE AS ALL ELSE IS PROVIDED FROM FRESH CLEAN LINENS TO THE SALT AND PEPPER SHAKER IN THE KITCHEN.GREAT BUY IN THIS COMPLEX WHERE FEW COME FOR SALE. CLOSE TO SHOPPING & POST OFFICE ON THE WEST SIDE OF THE TOWN OF WICKENBURG. Listing courtesy of Referral Realty Group Of Scottsdale, Inc..